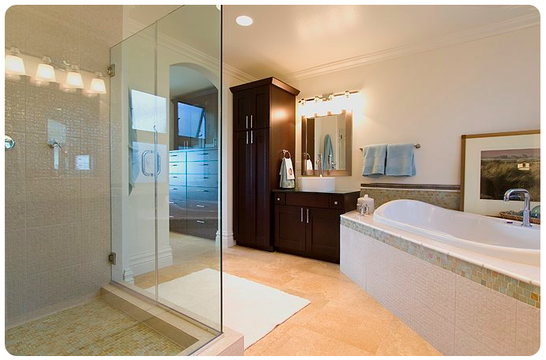 From shower remodeling to custom bathrooms, new room additions and more, we can help. Call locally or click below. BKR Pros is a leading residential, industrial and commercial remodeling company with affiliates in McAllen and the Edenburg/Mission, TX area. We have more than 20 years experience in all phases of remodeling and specialize in custom shower and bathroom renovations. Even if you do come up with some terrific bathroom remodeling plan on your own, it can be a great help to consult a shower and bathroom designer or architect for advice. By having a professional review your plans, you can avoid costly mistakes and gain fresh perspectives and ideas. Many design professionals are willing to review plans and make suggestions for an hourly consultation fee. In our case, we can assist with the entire project from start to finish! An architect can oversee engineering and design, including a building's structural, electrical, plumbing, heating, ventilation and mechanical systems. An interior designer can't help with the engineering details, but can help with layout, choices of materials and more. Evidence of certification with the NKBA means the interior designer you choose has completed and mastered various courses. A designer or builder can both design and build the project. Hiring such a firm or individual can help ensure a smooth transition from dreams to reality. Some designer/builders, however, are short on design skills and long on building expertise. Design talent and training doesn't necessarily come with technical skills. The scope of your renovation project will help you decide which kind of remodeler to consult. Small jobs, such as replacing minor bathroom or shower fixtures, don't require an architect's skill. If your renovation involves an oddly shaped or cramped room, however, an architect may be able to advise you better than anyone. No matter what design professional you seek, always ask to see a portfolio of completed projects. This will give you an idea of the kinds and size of projects the designer specializes in.